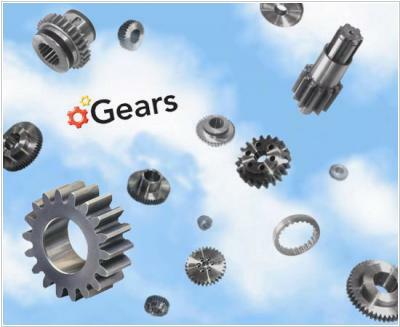 Last week, Google announced that it plans to phase out its Gears plug-in in favor of HTML5 and attracted much attention to the offline access market. And it turns out tha this market is very interesting and it's more about political games than about technologies. The fact is that browsers now are not able to create a local cache for web-applications and their data. What prevents them from adding this feature? The absence of the common (open) standard for working with local data, which is agreed with major web-app developers. HTML5 promises to solve this problem, but not all market players hurry to implement it. Because it's much more interesting to keep their power over the offline access technology, than to make it open. Here we should note that HTML5 is still under development and it will be more or less ready only in 2012. And the full transition to HTML5 is planed only for 2022. But in practice different parts of HTML5 will be deployed gradually and if the interested parties have the desire, they can implement the standards for offline access already next year. Though Google has succeeded more than others in providing offline access with its Google Gears browser plugin, however, this company is now the main HTML5 supporter. Because Google's strategy - is to accelerate the transition of all applications to Web-platform. And for this, in particular, it's needed to provide web-developers with a tool for offline access, which wouldn't depend on a particular vendor. So, meanwhile Google provides the temporary solution - Google Gears, but it uses all its influence to push HTML5. However, the company understands that after HTML5 implementation, the power over offline access will pass to browser, and that is why Google Chrome appeared. We can't say that Microsoft is not ready to move to HTML5. Its browser (IE) is still the most popular in the world and most users of the Web-based applications work in IE. But meanwhile Microsoft prefers S + S (Software + Service) scheme that supposes using installed client instead of browser. The company even released a platform Microsoft Sync Framework, that allows web-developers to organize the data synchronization between desktop application and Web server for offline access. Thus, Microsoft extends the life of Windows operating system and doesn't hurry to deploy HTML5. Adobe is the main opponent to HTML5. This vendor, like Microsoft, is trying to move web-apps from browser to thin desktop-client. Adobe offers Adobe AIR - the platform, designed to create those thin cross-platform clients that can work offline. The number of AIR installations is far ahead of Google Gears and S + S applications. Of course, the offline access in AIR - is just a bonus. Its main advantage - is the ability to build Rich-application. Apple is very happy with its closed iPhone platform. And because offline access is most wanted on mobile devices, Apple has got a huge power in this area. For example, Google Gears is not allowed on iPhone. You want to provide offline access to your web-app on iPhone? Please build an iPhone application and let us check it. And if we do not like it - we'll block it. So the transition to HLML5 is not among Apple's priorities, at least for mobile Safari (as for Mac-desktops, Apple said 'yes' to HTML5 and Google Gears). As we already mentioned, the HTML5 implementation will give power over the offline access to web-browsers. Therefore, the browser vendors that are not constrained by other platform components, actively participate in HTML5 development. Though, they have less influence on this process than the above mentioned companies.